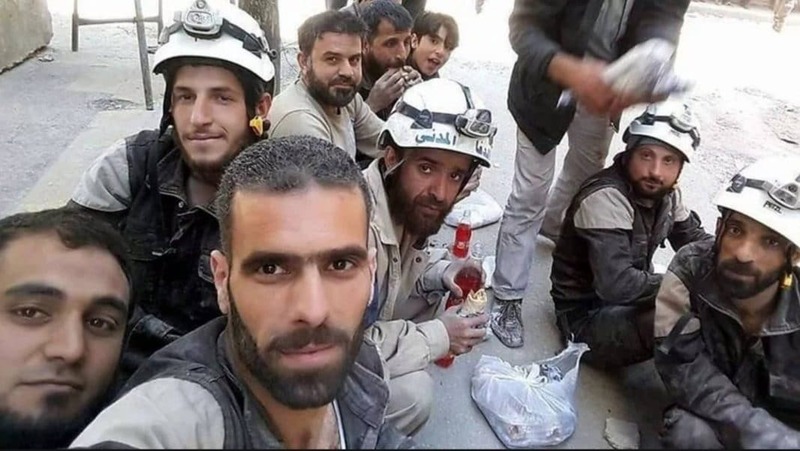 Feel good story of the week for many in Australia (other than Emma Husar being outed as the lying, system-rorting hypocrite that she is) was Israel’s rescue of hundreds of ‘White Helmets’ from the murderous jaws of Assad’s approaching forces. Trapped in the Golan Heights, in danger of being wiped out, the Israelis managed to extract 422 of them in the nick of time. All at the behest of the US and the EU. But was it really a feel good story? To the Main Stream leftist idiocy which continues to extol the virtues of everything anti-Trump, anti-Assad or anti-Russian, the answer is yes. But to the Syrians, Russians and to everyone else grounded in reality, the answer is no. For too long the MSM have been reinforcing their feel-good, romantic Syrian civil war myth. Spinning us the line that the WHs are heroes engaged in nothing more than dangerous emergency relief work in a horrific civil war. That these selfless Muslims were rushing to the scene to dig out, not innocent victims but, preferably, ISIS fighters and their families – only – from the rubble of Assad’s latest air-strikes, was an inconvenient truth. When this romantic myth was debunked some time back, and it became abundantly clear that the WH were only predominantly interested in aiding ISIS, the MSM ignored it. No matter, too, to the MSM that the WHs were actively caught a number of times fabricating video evidence of ‘Assad’s crimes,’ because the slavish, ‘good-Muslim-fantasising‘ Left had already made up their minds. What’s more, the fantasy needed to be taken by the MSM to its logical extension. That is, a ‘good-Muslim‘, kiss-arse film had to be made about this complete fairy-tale without delay, just so that craven Hollywood, Muslim-kiss-arse virtue-signalling elites could stand-up, cheer and tearfully applaud and award it a kiss-arse, hug-a-Muslim type Oscar. So why would Israel come to the aid of the White Helmets when they would have known all along about their true nature? The reasons would be complex but my guess is that, first and foremost, PR. Rescuing these accomplices to mass-murder from the clutches of another mass-murderer would rightly boost the image as a country. A civilised state that, unlike the vile Muslim world surrounding it, doesn’t discriminate when it comes to humanitarian aid. Secondly, because the deal entailed resettlement of the WHs in Europe, Israel wouldn’t be burdened with the next stage: integrating mass-murder sympathisers back into a civilised society. This entry was posted in Bashar al-Assad, Israel, Muslims, White Helmets and tagged Assad, Israel, White Helmets. Bookmark the permalink.